Announcement Invitations • Announcements • Notecards • For all Occasions. Let’s put that mailbox back to work! 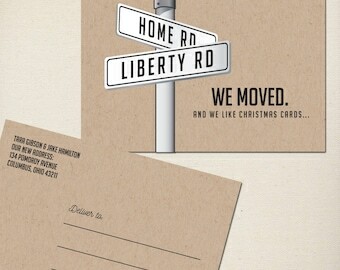 I love tech-but I long for the written word, on a card, on stationary, with a postmarked stamp. A tangible greeting of love. Invitations • Announcements • Notecards • For all Occasions. Let’s put that mailbox back to work! I love tech-but I long for the written word, on a card, on stationary, with a postmarked stamp. A tangible greeting of love. Beautifully done with colors customized to our picture. Wonderful fast and clear communication. We opted to have her print for us as well. 110% satisfied. Thank you so much for an easy buying experience. 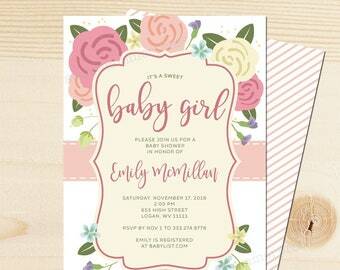 Fast quality printing on the custom invitation created by this seller. Beautifully done. Thank you! A new product in my shop...trading cards! 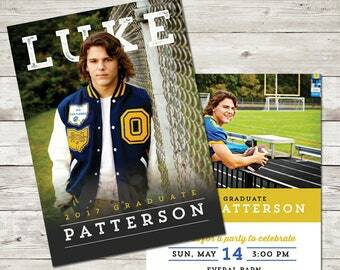 With party info on the back, they're perfect for grads to hand out to their friends. Yep...that old school scale still works! I've just started using Etsy shipping labels-it's so convenient-try it if you haven't. Saves me from the post office line! Well, this was a fun order to prepare! I can hardly call this work. The puppy pendant will be perfect for my customers 4th birthday party-complete with food tents and cupcake flags! The story begins with family. Mine happens to have creatives on both ends. I was bound to be driven towards the arts. Surround yourself with creativity and it will truly rub off! Seriously. If I'm not designing something, I'm making it. When you say I do, make the occasion extra special with small printed touches like coordinating table number cards! When I was little, my mom started her own business-she opened up a candle shop. The name? Der Candlemaker. (we lived in a quaint community called German Village) We lived upstairs and she made and dipped those candles right underneath us. It was fascinating growing up in a candleshop. We spent many hours dipping our fingers in the hot wax to make replica's of our tiny hands. And really, it honed my math skills tremendously from working there as a child and counting back the customer's change! Simultaneously, there was major crafting going on at my grandparent's house. When Mom was swamped, we were all shuttled off to spend the weekend at Mac and Bapa's house, where we worked on our Christmas presents. For all of our aunts and uncles and grandparents. And we had a lot of them. I thought everybody did that. Didn't everybody do that? So while my grandmother and her friends were crocheting and knitting, we were gluing, baking and poking ourselves with needlepoint needles. Learning from these great women the importance of craft and friendship. Fast forward....I tried to make my kids do the same thing and some years they do, and some years they don't-but we have a great big family and we celebrate handmade gifts and make a GREAT BIG deal about it. We're makers, and we were raised by makers. Naturally I went to art school, where I studied advertising and graphic design. Now I freelance for small businesses, but I really love making invitations! Who doesn't love to receive a great invitation in the mail, hold it in your hands, and know that you meant enough to someone to receive it. I'm all for technology-I've been in love with many Macs, but let's get the human touch back into our lives. This photo pretty much says it all, although it was taken a few years ago. Raised in a crafty family, I'm constantly making things or dreaming of that next thing to create. I hope you'll be delighted with what you find here. Welcome to my my shop, where I offer a variety of custom designed invitations and announcements. 1> You can purchase a DIGITAL file, which after proofing, you'll receive a PDF or JPG file that you can use to print your own invitations at home or at any professional printer. The best part is that you can send your invitation via email to whoever you'd like, after purchasing it. 2> I can PRINT if for you! I offer full printing services. I will make sure that you are happy with your proof and then you can sit back and wait for your invitations or your poster to arrive at your home. Easy-peasy. If you have something that you'd like printed, and I didn't design it? No problem. I can give you a quote. Many of my listings are for a pdf DIGITAL file that will be fully customized with your information and photo. Once you receive the finalized file, you can email it to your friends and/or print it anywhere you desire-at home or at your local print shop. I will work with you on color selection. If you have a olor-scheme you'd like to work with-I can do that. 1 - Purchase the card. You'll get an instant download SAMPLE of the card you're purchasing. It may have a watermark stamp on it, but that won't be on yours. 2 - Message me with your order details through Etsy. c. an RSVP to with a phone number or email or I can take it off. e. Your photo(s) if the design includes it. After you've sent me your information, a digital proof will be emailed to you within 2 business days. You will go over it CAREFULLY and email any type or color changes. 2 revisions are included in this price, and after that, revisions are $3. When you're happy with your information, I'll send you over the finalized PDF file if you've ordered a digital item OR I'll ship your product to you. - When you initially download the "instant digital" file, this will just be a water-marked sample image of what you saw in my shop. You'll receive your customized version via your email and the watermark will be gone. - Please know that colors can vary slightly because of different printers and monitors. - If you're purchasing this listing as a digital file, NO PRINTED PIECE WILL BE SENT. - Because of the customization of these prints, refunds cannot be given but I'll do my best to make sure you're happy. The paper used will be 110# uncoated Premium stock. It is not glossy. If you prefer a glossy look, let me know, and we can change that. Note: I'm not printing these off of my home printer-YOU could do that yourself! I use a professional full service printer. The paper will be a thicker stock than what you can run through most home computers. At your local craft or office supply store. Just make sure they fit a 5 x 7 card. The size will be an A-7 envelope. Of course, if you're using my print services, envelopes will be provided. © All designs and images are copyrighted to Sweet Hammer Press. Purchase of prints does not transfer copyright. You may not forward, share, sell or distribute the file or print. Your purchased file is for personal use only. For printed services, message me if you have issues with the printing and refunds will be made on a case by case basis. I value you as a customer, so I want to make things right. If you're happy, I'm happy. If you are purchasing a digital file, I cannot offer you a refund, but I will do my best to ensure that your file has no typo's or mistakes! Please PROOF-READ the proof that I send you for any mistakes or information. You are responsible for proof-reading. If there is a mistake that isn't caught, it will go to print either way, so please, proof, proof, proof! I accept PayPal and Credit Card as a payment method. Sorry, no checks or money orders. I do require payment before beginning work on your proof. Shipping within the USA is via USPS and UPS typically, but can vary depending on where you live. Shipping prices will vary depending on the product, your zip code and order. Standard turnaround time for the PRINTING is 3 business days from the time you approve your proof and then you'll need to allow 5 business days for SHIPPING. I cannot guarantee delivery times once it leaves my hands. Some orders will take longer than others-it's just the name of the shipping game, but in most cases, it will arrive quicker than they say. If you need to have it rushed, email me and I'll let you know how much it would be. Of course if you're purchasing a digital item, it will be sent to you for free! Once your order leaves the US, I have no control of how long it will take to arrive. Each country is different but I figure if you're ordering from the US, you already know that, right? If I can track it, I certainly will. Where do I leave the personalization info for my order? 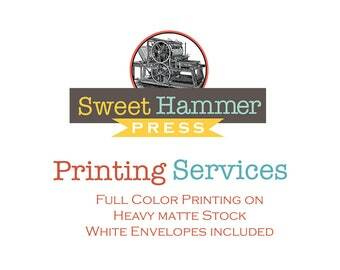 Personalization details should be included in the ‘notes to Sweet Hammer Press during checkout. If you missed that opportunity—no worries! You can leave me an Etsy conversation with that information and attach your photo there. If you have any troubles at all, just message me and I'll walk you through it. In most cases, yes. I do have some designs that are available printed, but in most cases, both the printed and printable options are available in the drop down menu when ordering. What's a "proof" and how will I get it? Once you have placed your order and attached your information and photo, I will send you a proof through the Etsy Conversation. Watch for it to come within 1-2 business days of purchase. If you would rather it come to your email, please specify that. Please provide all personalization as accurately as possible. Please also review all proofs very carefully when approving. Any costs associated with the reprinting/preparing any order once it has been approved are the responsibility of the customer. I am not able to provide proofs for any item prior to its purchase. If you have a photo that you're unsure of, you can send it to me in a conversation, though, and I'll certainly let you know if it will work for the design! Typically, my turnaround time for a digital item or a proof of a printed item is 1-2 business days of purchase. For printed cards, please allow 3 business days after the proof approval for the printing and up to 5 business days for shipping. In a time crunch? Just message me-I do have some options for you!